Summer is officially in full swing and I’m enjoying the sunshine and time with my kiddos. I’m also enjoying the fact that I have more time to spend with my teacher friends outside of school. During the school year we make a point to go to dinner once every couple of months, but we are always on our best behavior because even though it’s the weekend we have papers to correct and lesson plans to write. Luckily, the Summer means a lot less work. Yes, teachers continue to work over the Summer and some of the real crazies work summer school. Yep, that would be me. So I was thrilled to have an opportunity to spend time with my teacher friends and enjoy these Lemonade Teagarita Mixed Drinks after the last day of school last week. Wow! This looks absolutely delicious. I love new cocktail recipes. 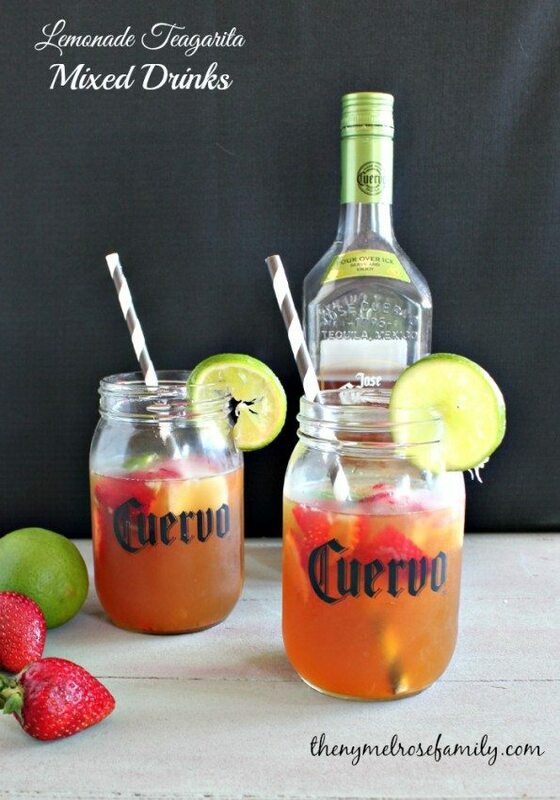 This seems like the perfect summer drink by the pool too. Can’t wait to try it!